Bruton School for Girls was turned into a film set for the day when star of TV’s Salvage Hunters, Drew Pritchard, arrived to rummage amongst the hidden treasures at the girls’ school. 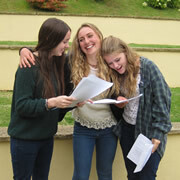 There were smiles all round as Bruton School for Girls announced its GCSE results on Thursday 21st August. With the highest results for five years, Bruton School is building its reputation for consistently high achievements year on year. Whilst most students were taking it easy over the Summer, one student at Bruton School for Girls was busy ‘treading the boards’ in London. 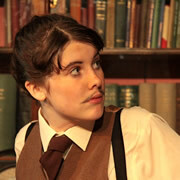 Ciara Chapman, aged 18 from Bruton, attended the National Youth Theatre’s prestigious Summer workshop in London. Bruton School For Girls Rated "Excellent" and "Outstanding"
Bruton School for Girls in Somerset is thrilled to have received a fantastic Independent Schools Inspectorate (ISI) Report and has been found to be ‘excellent’ and ‘outstanding’ in every way! With the ever growing success of women's football in the country, Bruton School for Girls has recently teamed up with Yeovil Town Football Club to deliver an exciting new initiative. The Head of Bruton School for Girls, Mrs Nicola Botterill, invited Sarah Yong, the newly selected Liberal Democrat Prospective Parliamentary Candidate for this constituency, to talk to the Sixth Formers about her experience of working in politics. As part of Somerset Arts Week, local independent school Bruton School for Girls opened an Art Exhibition of students work on the 21st September, open till the 5th October. This is a large exhibition well worth visiting Bruton to see. This year Bruton School for Girls has taken the bold and unusual step of laying on an exhibition of students' work as part of Somerset Art Weeks. Open 27th Sept to First October. 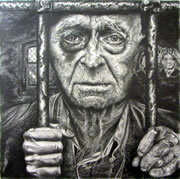 Everyone is invited to see this vibrant and attractive show by young artists. 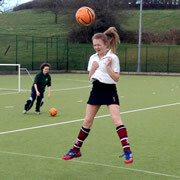 This year showed the girls of BSG performing extremely well. In a cast drawn from across the school, the girls of BSG took part in a witty and elegant production of A Midsummer Night's Dream in contemporary dress. See the pictures right here, right now. The Students at Bruton School for Girls gave a concert in Wincanton Parish Church on the evening of Wednesday 5th May. All the proceeds from this concert were for the Church Funds. 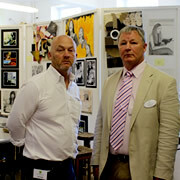 Bruton School for Girls was the venue for the Somerset Arts Week Prize Draw Presentation Evening which included an exhibition of the work of local artists.